The Super Bowl is coming this weekend! People are either hosting or attending a super bowl party. Going to a potluck and thinking about what to make? 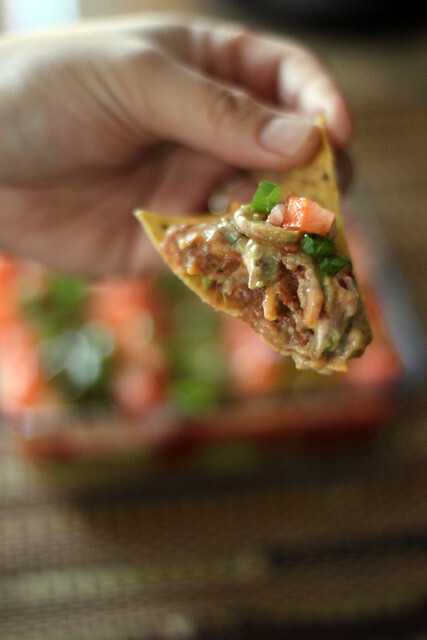 Try this easy peasy, colorful 7-layer dip with a spicy kick that is delicious and pretty to look at. 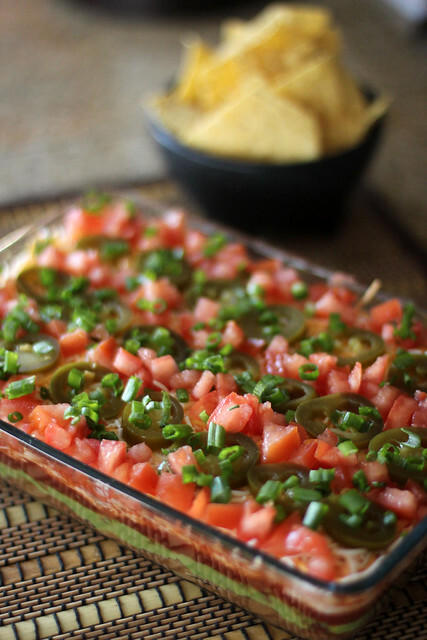 Party Dips are usually crowd favorites every party I attend. This is a great dip and much cheaper to make than to buy at the grocery store. A small package at Safeway cost $6. That is super expensive in my opinion. Spend a few extra dollars and less than a half an hour to make something tastier and 4x’s bigger! Note: Want to make this healthier? Use Vegetarian or No Fat refried beans, fat free sour cream, and reduced fat shredded cheese. 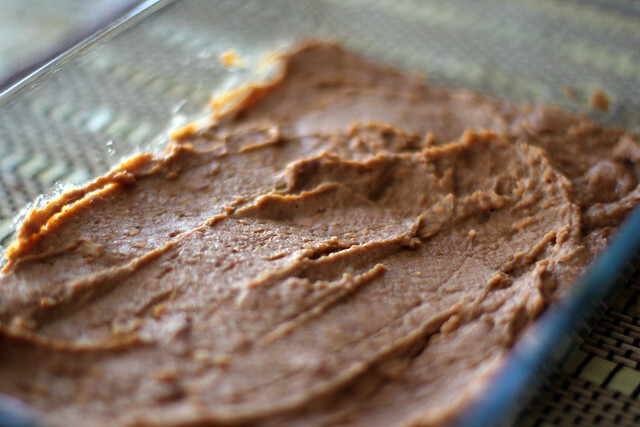 In a medium bowl, blend the taco seasoning mix and refried beans. 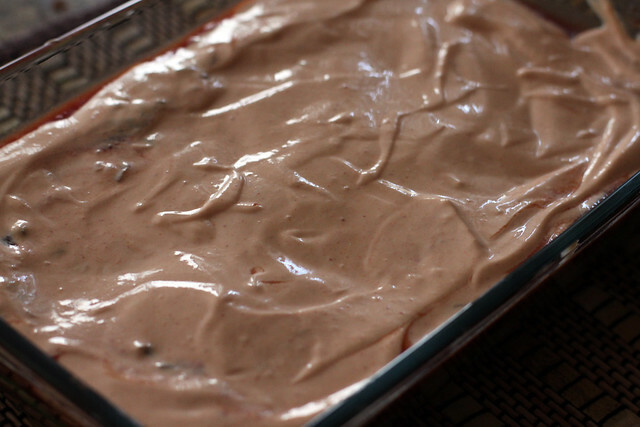 Spread the mixture to for the first layer in the 9×13 baking dish. 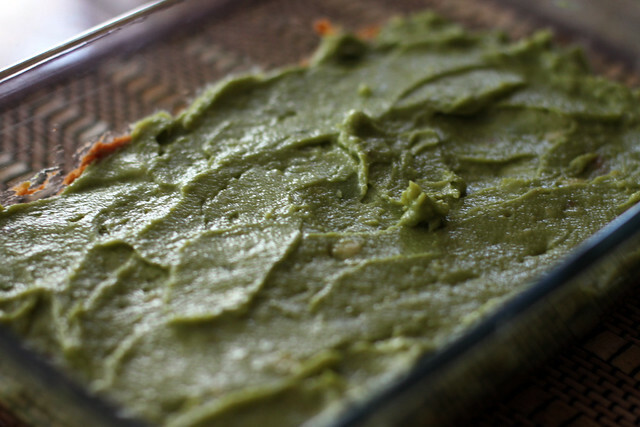 In a medium bowl, mix avocados, cilantro, jalapeno, lime juice, a dash of salt and pepper. 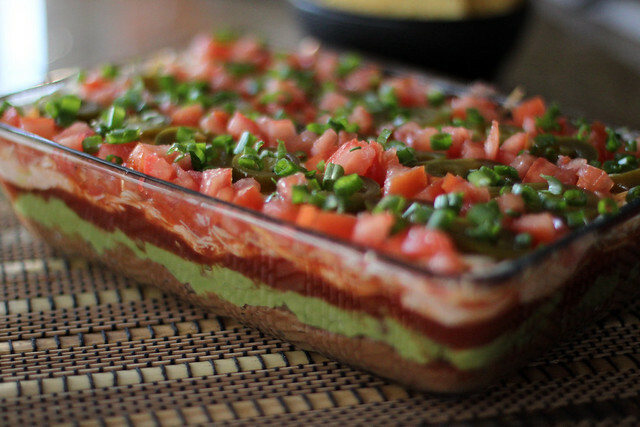 Spread guacamole layer over refried beans. 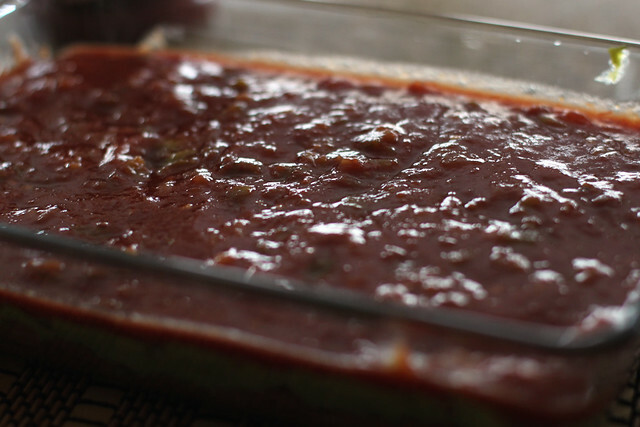 Spread Pace Picante to form the next layer. Add shredded cheese to form the next layer. 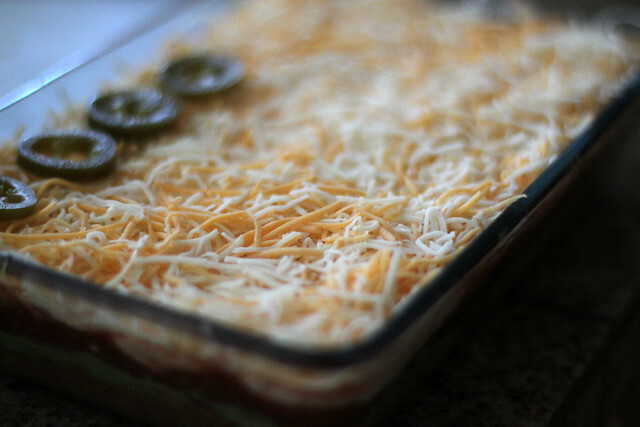 Place a layer of tomato, green onions, and jalapenos over the shredded cheese.